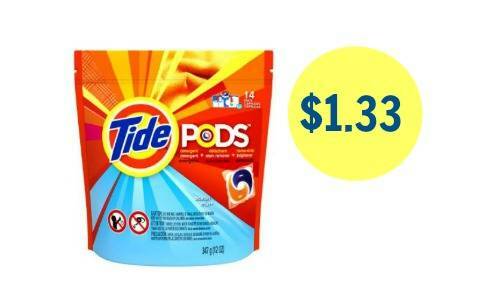 Head to Dollar General today only to get a great deal on Tide Pods! You can combine a $2 off $10 purchase store coupon with an insert coupon to get detergent for $1.33 each. Makes it $4 ($1.33 each)!